This Dairy Free Cashew Cheese Sauce is delicious. Two weeks ago we took the kids to the zoo. Afterward, we decided to try out a vegan restaurant here in Dallas called The Spiral Diner. The food was so good! My husband got a vegan nacho plate and the cheese sauce was made from cashews. He liked it so much he decided to try to create his own cashew cheese sauce and after a few tries it worked out pretty good. 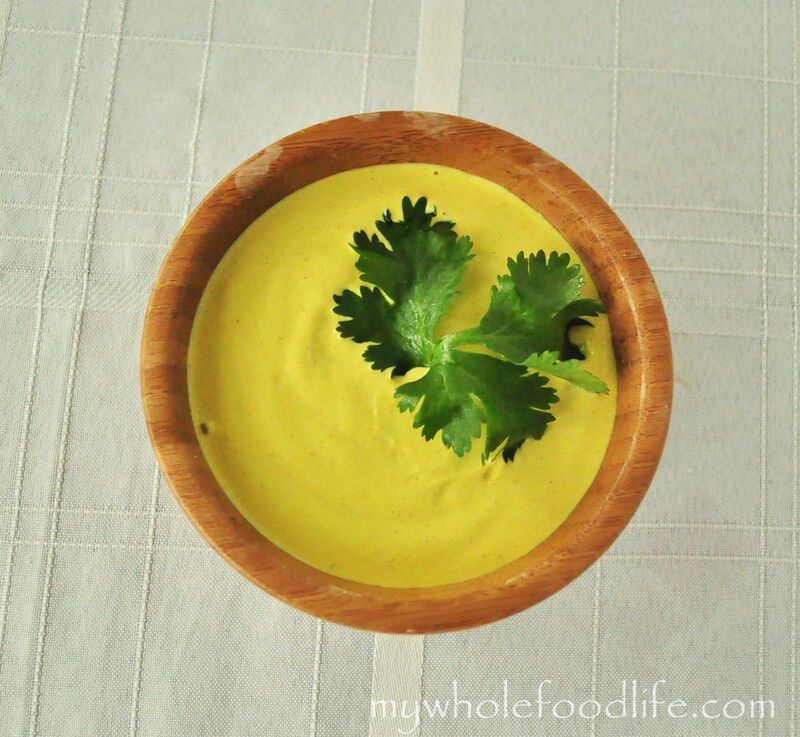 This dairy free cashew cheese sauce is really quite a good replica. We never would have thought to make a cashew cheese sauce. A lot of vegan cheeses are soy based, but we wanted to do something different since a lot of people are avoiding soy these days. The cashews gave it a nice creamy feel. This would not only be a good sauce to eat with nachos, but it makes a great base for a dairy free mac and cheese. With so many kids having dairy allergies these days, it’s nice to have a soy free cheese option. To give this a cheesy flavor, we used nutritional yeast. Nutritional yeast is a great source of protein, fiber and vitamin B12. Here is a quick little video of my husband and daughter making this. For more videos, you can subscribe to my You Tube Channel. The next day, drain and rinse them. You can store it in the fridge in an airtight container. Should keep for a few weeks. You may even be able to freeze it. Followed the recipe and it tastes NOTHING like cheese. What a waste of money. I never claimed it tasted exactly like cheese. In fact, I don't say that at all. It has a cheesy flavor that fills the void for vegans and those that don't eat dairy. I went into this cashew cheese experience with an open mind. The comments on here we're not favourable but I needed to have an alternative to dairy. Well what can I say but "Awesome". It doesn't taste like cheese but it doesn't have to. It's savoury and 'creamy' texture are a perfectly fine substitute. Best of all my 7 yr old ate Tuna mornay and lasagna with this reciepe as a replacement and bam entire meal eaten. Thanks to you both. That is awesome! Thanks Maegan!